If you followed along as a group of us bloggers teamed up to bring you the 12 Cakes of Christmas, you already know that we are a crazy bunch of gals who inspire each other to greatness. Well…we try! Once the holidays were over we realized that we just didn’t want to leave the party, so we decided to pick a theme every month and create recipes to match the theme. 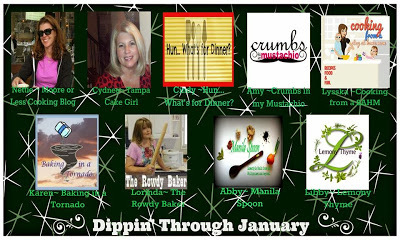 This month is Dippin’ Through January! Football games just demand dips, and we have you covered. 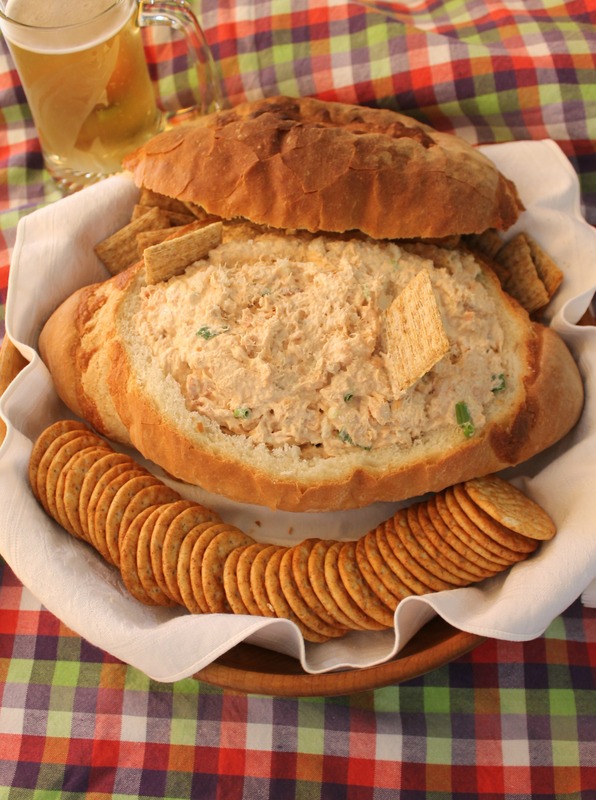 Today is my day, and since I was born and raised in Seattle, AND since the Seahawks are going to the Superbowl (squeeee) I went all out and made a delicious salmon dip and a big french bread football bowl to serve it in. Fill it up and put the top back on until you’re ready to serve…then tear it up and use the chunks of bread to scoop up the dip. 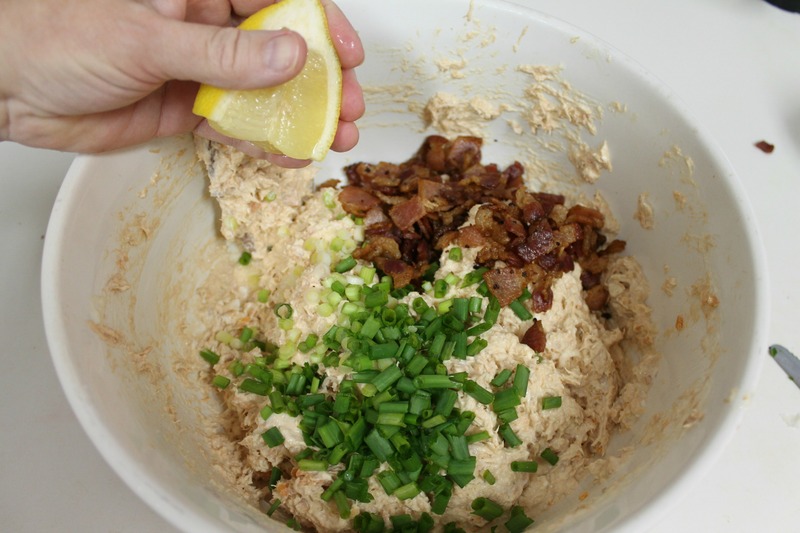 Here’s my easy recipe for a Football Dip Bowl. 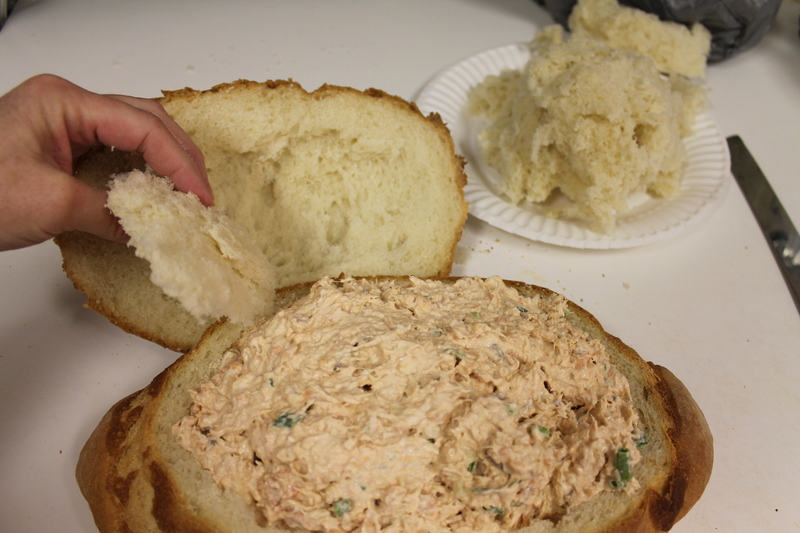 And, of course, the recipe for salmon dip! This is enough to make at least 8 hungry people very happy. In a large bowl, combine salmon, neufchatel cheese, mayonnaise, Worcestershire sauce, liquid smoke, and garlic. Mix well using a sturdy wooden spoon or (if you don't mind the mess) your hands. Don't use a food processor - it will ruin the texture and turn the dip into baby food! Stir in the bacon, lemon juice, green onions, and seasoning. Spoon into dip bowl. Also consider trying finely chopped celery, sliced olives, or grated Italian cheese! So lucky to have friends that fish AND can! Gotta have fresh lemon with salmon. 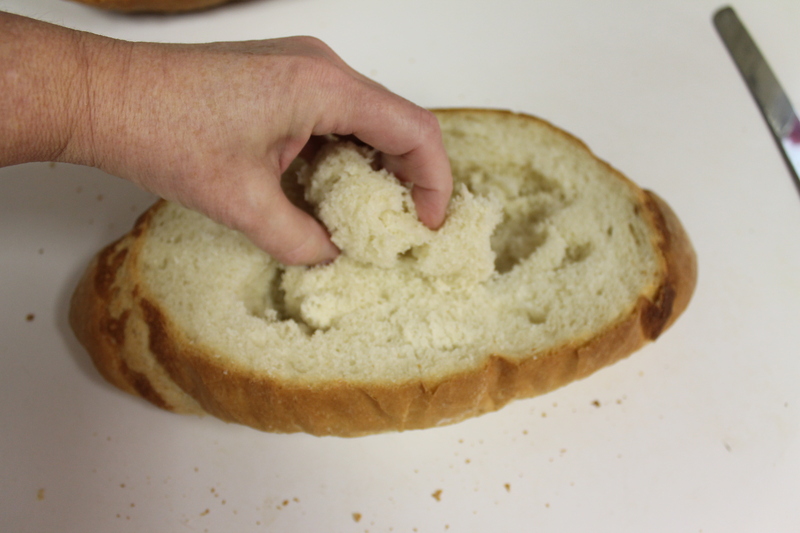 Remove the soft bread from the “lid” too. With all due respect to those of you who live in Colorado, may I just say…..GO HAWKS! Here are links to the other dips that have already been posted. 1/15 Rocky Road Brownie Batter Dip from Hun, What’s for Dinner? 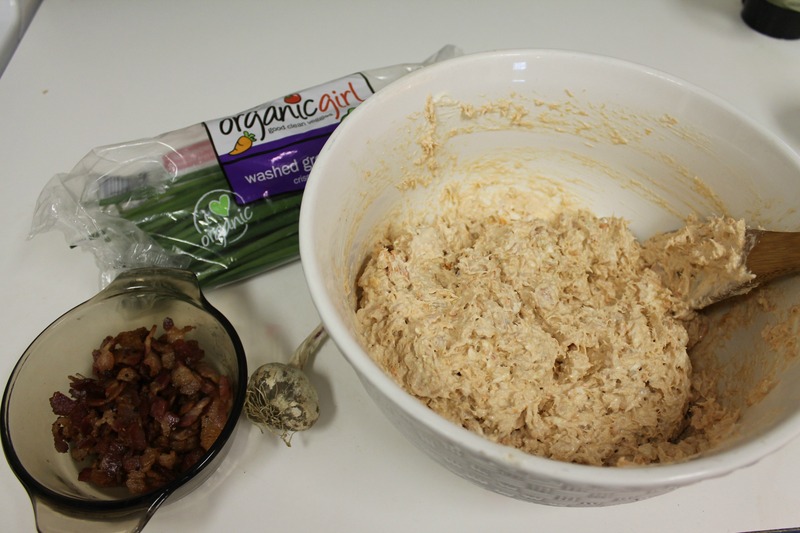 This entry was posted in Appetizers and Dips and tagged Dip, dip in bread bowl, Salmon cream cheese dip, Salmon dip, Seahawks game dip, Superbowl dip by Lorinda. Bookmark the permalink. Thanks, Nettie! After 50 years on the coast, I’m going through salmon withdrawal here in the country, so this is my solution. Glad you liked it! I LOVE Salmon so I’m so glad you made this one. I’m not a fan of liquid smoke so I’ll skip that. Can’t wait to serve this. Thanks, Karen! My son almost ate the whole bowl full (lid and all) yesterday. It’s addictive! I’m not a liquid smoke fan either, so I just put a few drops in. Both the bowl and the dip are super easy. Hmmm…I need to try making some GF crackers! Um. You ARE rooting for the Seahawks, right? Jen? Actually, if my Steelers aren’t in it, I’m really happy that it’s Peyton manning and the Broncos vs. the Seahawks. 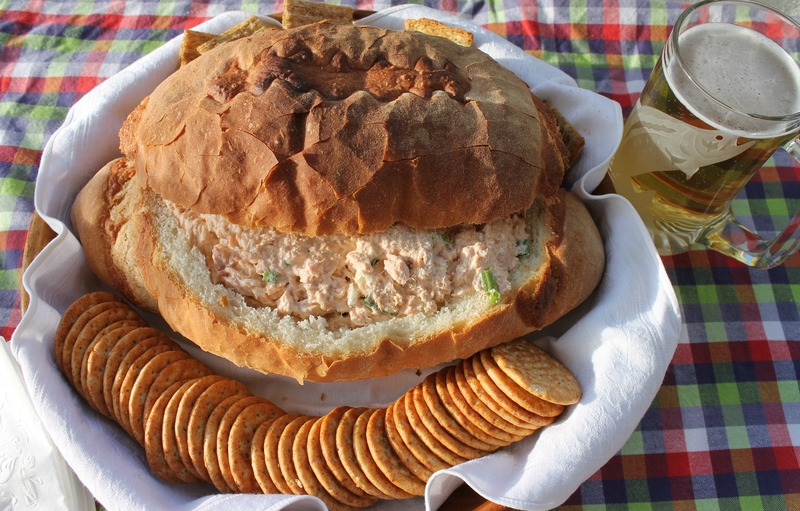 How clever are you using that perfectly shaped bread for this awesome dip!! I do believe I could make a meal of it!! And how lucky you are to have fresh salmon! Thank you so MUCH! I already see views coming in from your page. Much appreciated. Hugs back! 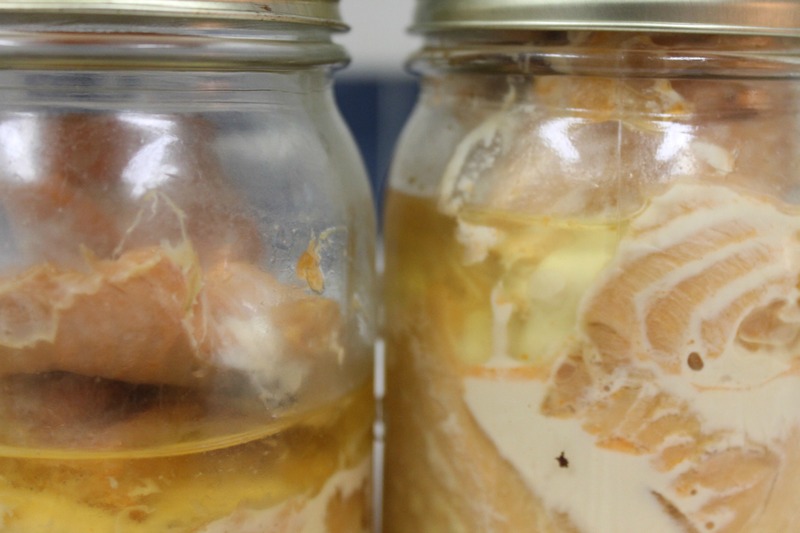 Hello, would your friends mind sharing their canned salmon recipe with me? I’m in Australia and there’s nothing like that in the recipe books here.